The first session of the 26th Legislature was widely viewed as a contentious one, with conflicts arising not only between members of the two political parties, but also between the two chambers and with Governor Sarah Palin. A crescendo in the acrimony came with the Legislature's rejection of Wayne Anthony Ross, the Governor's nominee for Attorney General. As a result of the hostile atmosphere, moving legislation-particularly measures that would ultimately avoid a veto-proved particularly challenging. Consensus was ultimately found on bills to provide benefits to Territorial Guardsmen who served during World War II, Medicaid payments for adult dental services, a loosening of laws on concealed weapons, and heating assistance funding in the face of high energy prices, among others. Among the issues generating contention was the question of whether Alaska should accept hundreds of millions of dollars in federal economic stimulus money. The Legislature voted to do so against strong objection from the Governor. Ultimately, Governor Palin vetoed only about $29 million of the $930 million total. The Legislature called itself into special session and voted to override the veto. Although the resignation of Governor Palin over the interim by no means eliminated all of the conflict in Alaska government, the Legislature was able to address significant measures in 2010. Majorities of lawmakers supported Governor Sean Parnell's agenda with regard to strengthening domestic violence and sexual assault laws, funding a large new crime lab, tackling $100 million in deferred maintenance, and designing a merit scholarship program. However, bitter debates occurred over the renewal of the state's Coastal Management Program, which was ultimately eliminated; reductions of taxes on the cruise industry that had been put in place through a citizen's initiative; and a bill separating oil and gas taxes that was approved late in the session by the Legislature, but vetoed by the Governor. 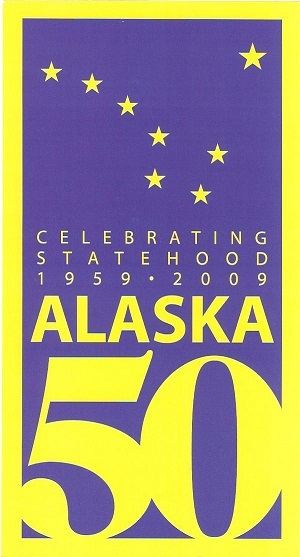 Alaskans commemorate the 50th anniversary of statehood. Alaska voters approve a ballot measure requiring notice be given to the parent or guardian of a female under the age of 18 before she has an abortion. Alaska's Mount Redoubt Volcano erupts five times. A U.S. Airways flight, piloted by Captain Chesley "Sully" Sullenberger, successfully crash lands in the Hudson River after being struck by a flock of Canada geese shortly after takeoff from New York's LaGuardia Airport. The "Deepwater Horizon" oil spill in the Gulf of Mexico, believed to the largest in history, impacts the environment and local economies. A magnitude 7 earthquake devastates Haiti. Barack Obama becomes the first African-American to be elected U.S. President. The U.S. government provides a $787 billion economic stimulus package.